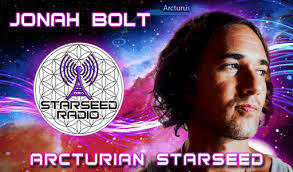 JONAH BOLT A STARSEED The signs were there from the very beginning, just looking at his birth announcement alone. Jonah Bolt Yolman Arrived on Mother Gaia January 1st, 1979. He was the first baby born New Years Day in his county and hit the spotlight right from the start. Jonah was raised in South Florida, USA and at an early age he started to see his talents and creativity blossom. As a child Jonah was always intuitive and driven by an unseen force to progress forward, always helping and guiding others to their destiny. By the age of 12, he already had several pieces of his work published. Poetry, articles, songs & thoughts all seemed to ring truth and take front page. At 13, Jonah rewrote a hit Michael Jackson song into talking about going green. The song itself was so powerful the entire school sang it from kindergarten up. The school then video taped everyone singing it and sent the video to President Bush. A message from Jonah saying, “Start cleaning up and save our planet”. At the age of 19, Jonah moved to New York City where he began to encounter many more interesting experiences. 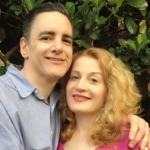 He has had many dreams & visions during his life that have developed into real experiences. He was present at the 9/11 tragedy, intuitively the night before he told his girlfriend to call in sick to work that day to go to a doctor appontment. She did, but lost 3 people in her office on the 81st floor of The World Trade Center. On his way to work that day the trained stopped on top of the bridge into Manhattan at 9:05 am. As he was watching tower one burn the 2nd plane hit the tower shortly after. In 2002 he went to Israel, the first night he arrived he was in Tel Aviv blocks away when the first ever two female suicide bombers struck. The following year Jonah was in London, the bombings happened 2 blocks from his friends work there. One of the only subways he took while visiting him. The next year Jonah arrived in Thailand and was actually on the opposite side of the island when the tsunami hit. Months previous, Jonah had changed his trip from Phuket which was wiped out to KO Sumo. Jonah is a world traveler that has experienced our planet and many events that most would only read about in the news. Some of Jonah's travels have included Germany, Czech Republic, Austria, Slovakia, Hungary, Amsterdam, Switzerland, France, Monaco, Spain, Canada, Argentina, Brazil, Mexico, London, Israel, Thailand, Hong Kong, Singapore, BVI's, Bahamas, USVI's and Mexico. Jonah has a deep connection to music, is naturally outgoing, and open minded. 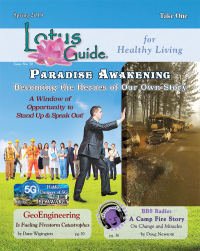 He is an intuitive leader on a spiritual path toward Ascension. "I know we are not alone in the universe and we are all headed home. Years ago I began my travels in the direction and flow of life. Everything is happening for a reason, things will always work themselves out!"